her understanding is more solid (building). (e.g., predict how many more chairs, when three are already there, are needed for the small group table so that six children can all have a seat). When we say that we want children to be able to “make predictions about the outcome prior to collecting information, with teacher support and multiple experiences over time” —what does that mean? Probability: the likelihood that something will occur. Expectation or anticipation: the feeling that something in particular will happen. Sequencing: the order in which events occur or objects are organized according to a particular characteristic, such as length (longest to shortest). Making a plan: creating a more-or-less detailed strategy, design, or scheme before beginning a task or activity. Preparing: getting ready to do something or getting ready for something to happen; collecting materials, etc., for implementing a plan. There are several ways of thinking about the kinds of predictions young children can make. With a wild guess, a child takes a chance on making a prediction about something with which she has little experience or knowledge. She might make a thoughtful or educated guess when her previous experience and knowledge enable her to make a prediction that seems reasonable under the circumstances. 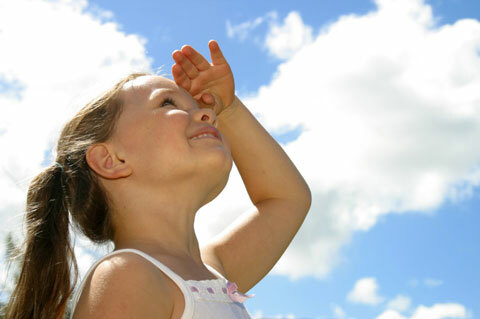 Research has shown that young children’s ability to “look ahead” is different from that of adults and older children. Studies have even found differences between the abilities of 3-year-olds and 5-year-olds to predict. Preschool teachers know that young children often have difficulty imagining the future. When very young children explore their environments, tinker with materials, and try to solve problems through trial and error, they lay the groundwork for deeper understandings of what is possible and what is unlikely or impossible. They need time to play and to observe the world around them so they become aware of patterns, of “the usual order” of events, and of cause-and-effect relationships. 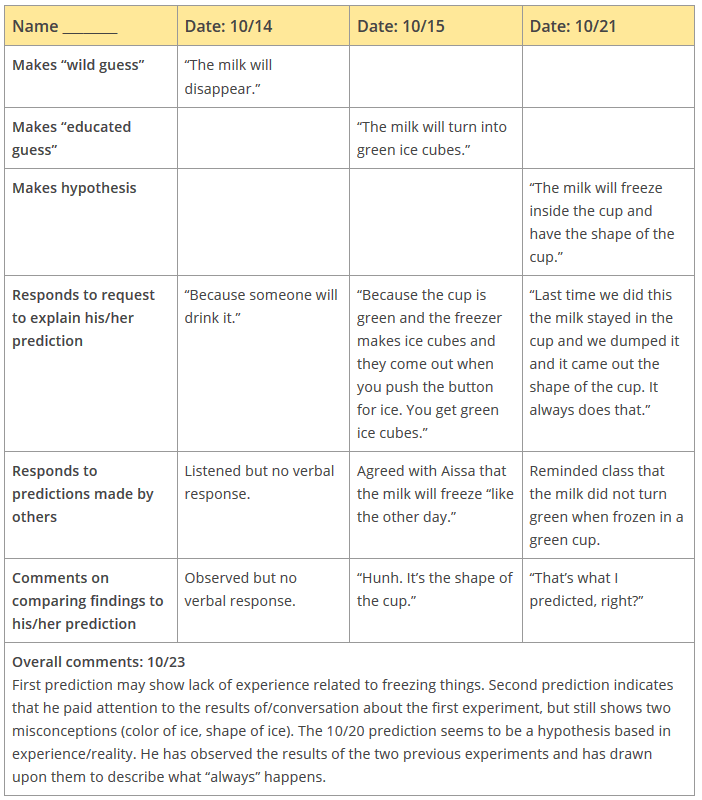 They are likely to need time to make “wild guesses,” to check the outcome against what they guessed, and to have many similar experiences before they can make what adults consider a logical or reasonable prediction. They need opportunities to make predictions related to numbers and counting, patterns, stories, physical activities, changes in the world around them—all aspects of life. It also helps if they have thoughtful questioning and guidance from adults and more experienced peers to challenge or support these understandings and help them make increasingly accurate predictions. 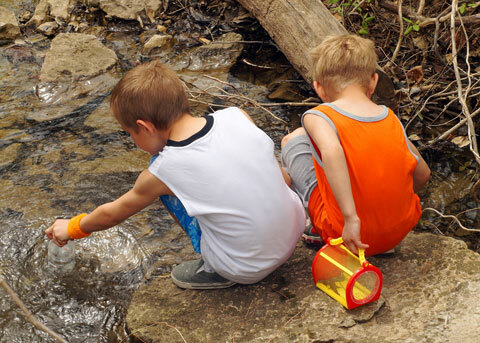 Having time to explore the environment is important to a child’s developing ability to make predictions. In this benchmark, the word information means “what children find out about something.” Information is “facts” or data that can help children answer questions about an object or event—questions that begin with words such as what, when, where, who, how, and why. Information can include location, size, shape, texture, quantity, time, and other important facts and details about the object or event. 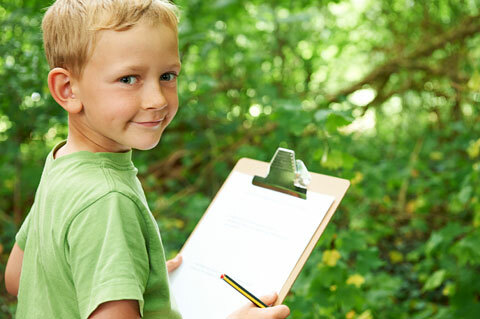 Children collect information when they observe an object or event and record their findings by sketching, taking notes, photographing, or making video. 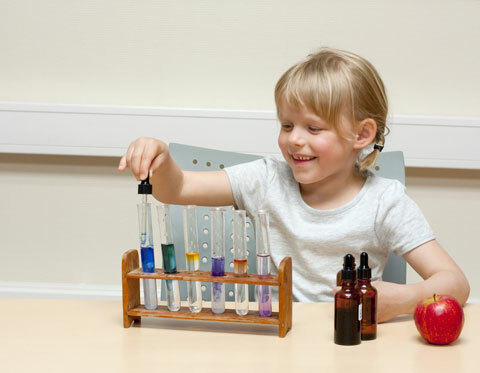 Collecting information is essential to helping children check their predictions against the findings of their inquiry so they can begin to see what accurate or reasonable prediction is like. Being able to compare their research findings with their guesses is an essential part of helping young children learn to make predictions. Benchmark 10.B.ECb says that we want children to be able to “make predictions about the outcome prior to collecting information, with teacher support and multiple experiences over time.” In other words, a child meets Benchmark 10.B.ECb if she can draw upon prior experiences to guess with some accuracy what might be the outcome of an activity or the next item/event in a sequence, with some guidance or help from the teacher or other adult. Explore teacher resources to find ways to engage children in making predictions throughout the day—math time, shared reading, project work, or outdoor play, while on a walk, etc. Early in the year, think of ways you might create opportunities for children to make predictions during a variety of activities. Keep in mind that, depending on age and experience, your class may have a wide range of ability to do so. Explain that a prediction is a guess about something that might happen but hasn’t happened yet. When you talk with the children, explain and use words such as certainly/probably, always/sometimes/never, possible/impossible. Expect that children’s first predictions about anything may be “far from the mark.” For example, a 3-year-old may be unable to predict that something could happen “tomorrow” because her conception of time is very different from that of an older child or an adult. And a child who has little experience with number concepts might predict that he should put out 100 cups for snack, or 2 cups, for 20 children in the class. Post a sign-in sheet with a new question every day, asking children to speculate about a variety of topics. Start with simple yes/no questions: Do you think it will snow today? As children gain experience with predicting, pose sign-in questions that call for more complex reasoning: How many seeds do you predict we will find inside this apple? How many children do you think will be absent today? Yes. (Timaya) Yes, many trees can have flowers. But the flowers don’t stay on all the time. 8 (Franklin) Yes, many trees can have flowers. But the flowers don’t stay on all the time. From time to time, ask a child who is making a prediction, “What makes you think so?” Her response can give you insight into her thought processes. You might also see where additional experiences could help her. With the children, look at the sign-in sheet or question/prediction table. Invite them to think about classmates’ predictions. “Ka-Chuan says he thinks the apple will have 100 seeds. Roselyn and Kari think it will have 17. Franklin, what do you think?” Call their attention to the range of predictions and whether several children made the same prediction. Help children follow up on their predictions about a topic after they have collected data. Help children see that many predictions turn out to be incorrect. 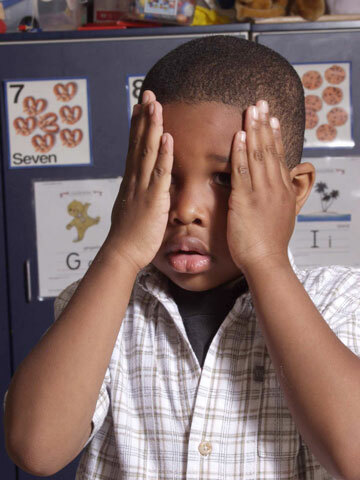 Children who are overly concerned about “being right” may not want to predict anything for fear their answers will be “wrong.” Several possible strategies can help a child in that position. Make some wild guesses yourself and respond constructively when your predictions are wrong. Comments such as, “I was way off on that one!” or “My guess was pretty close” can show children how to deal with an “incorrect” guess. Occasionally, try asking “What do you think WON’T happen?” This approach can free a child from the burden of feeling that she must always be right. Play with predictions during transitions and waiting time. Play “Close your eyes and guess.” For example, ask two or three children to “close your eyes and guess how many classmates are wearing boots.” After they guess, follow up by counting together to see how many children actually are wearing boots. Ask children to make predictions about an experience they are about to have. When preparing the class for a field trip, you might ask them to draw a picture of something they think they will see or hear. Revisit the drawings with them after the trip. Which predictions turned out to be accurate? Figure 4. Children can start the day by answering a sign-in question. Give them opportunities to link the counting sequence (1, 2, 3, 4, …) to quantities of objects. Let them arrange objects according to length or height. Provide opportunities for children to think about the order in which familiar events occur. For example, posting a visual schedule can help children see what to expect during their time in preschool, so they can begin to make predictions related to time. Help children think about cause and effect. Involve children in planning for a variety of situations. Ask children to draw their plans for something they want to make. Help them list the materials they will need. Make active play a time for predicting. For example, when the class is getting ready to play Fox and Geese, ask, “How many geese do you think one fox can catch in one minute?” “How many minutes to catch all of the geese?” During target games, invite children to predict how many times they will hit the target during a turn or during the whole game. samples of the child’s work that you have collected over time: drawings, paintings, photographs, collections, dictations, lists, models, and other representations of his or her knowledge and skills. “Assessment” refers to finding out what a child understands or knows how to do or how well she has learned a concept or skill. The documentation you collect can be useful with both formative and summative assessments of children’s progress in organizing, representing, and analyzing information. Formative assessment tells you how a child is doing “in the moment.” What does he seem to understand about a topic or a process? What does he do that suggests that he is working on, mastering, or having trouble with a skill or concept? Summative assessment helps you find out what a child knows, understands, or is able to do at the end of a particular time. How thorough and accurate is her understanding of the topic at the end of a project on tools people use? What skills does he have? What does she know now that she didn’t know at the beginning of the project? Can the child—with or without adult help—make a prediction about an event or activity, verbally or with a drawing, or both? Can the child give reasons that supports her prediction, with or without adult help? Can the child determine a way to “check” her prediction—that is, to compare it with the findings or outcome of the activity? The table below provides examples of what a child might do at each level: exploring, developing, building. The following ideas may help you assess a child’s progress toward meeting this benchmark. It’s a good idea to keep a documentation file for each child, with every item dated. Your documentation is a key to assessing the child’s ability to organize, represent, and/or analyze information. Notes on your observations relevant to his predictions—what he does and how he does it, whether he spontaneously makes predictions during play or conversations with peers and adults, how he explains his reasoning, etc. Photographs of children during activities related to the benchmark. For additional insight, it’s a good idea to ask a child to tell you what is going on in a particular photograph. Dated samples of the child’s sketches and drawings that express his predictions and plans. It’s a good idea to include notes about changes in the details and accuracy of his predictions over time. Note whether the child seems able to imagine what is not “in front of her.” Specifically, is she able to talk about something that could happen in the future (for example, “later today,” “tomorrow,” or a more distant time)? 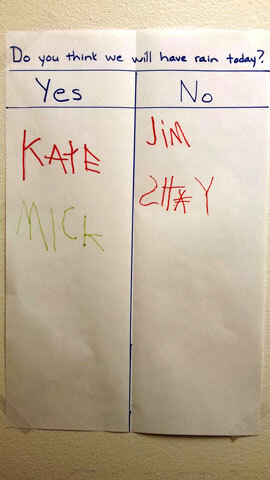 Note how a child makes a particular prediction. Does she use a “wild guess,” an educated guess, or a fully formed hypothesis? How does he respond when asked to explain a prediction (that is, when asked “What makes you think so?”)? What experiences or knowledge does he use as the basis for a prediction? What does her prediction show about her understanding of number, sequences, patterns, story structure, probability, people’s feelings, or the topic involved? Does he seem more confident about predictions in one area than in others? For example, can he make and support a relatively accurate prediction about how a character in a story might feel, but make a wild guess (“100!”) about how many blocks will result from combining five blocks and two blocks? 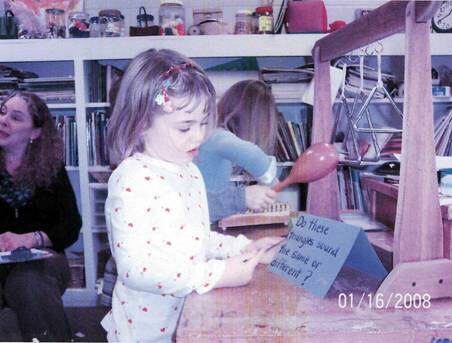 Compare a child’s later predictions with earlier samples to see how her understanding or skills have changed. This can be done as a formative assessment or a summative assessment. Over time, observe the child’s approach to comparing his prediction to those made by his classmates, or to the information or data collected. What is his response when the findings or outcome of an activity contradict his prediction? When they closely match it? How does he respond to classmates’ predictions? Do you notice changes over time? Observe his predictions related to social-emotional understandings. Is he able to anticipate how a classmate or a book character might feel in a particular situation? Can he imagine his own possible feelings? Activity: Predict outcome of putting cup of milk in freezer and leaving it for four hours. Individual IELDS benchmarks may be derived from research or from what is generally understood to be the basis for good practice for teaching and learning. Learning benchmarks frequently are related to principles and standards developed by professional organizations concerned with the specific content area, such as those of the National Council of Teachers of Mathematics (NCTM), which are themselves based on both research and professional knowledge. Parallels to Benchmark 10.B.ECb can be found in the Head Start Child Outcomes Indicators. IELDS benchmark 10.B.ECb is also related to specific standards developed by the National Council of Teachers of Mathematics (NCTM) and to recommendations in a joint position statement of NCTM and the National Association for the Education of Young Children (NAEYC). Domain: Science, Scientific Skills & Methods: Participates in simple investigations to form hypotheses, gather observations, draw conclusions, and form generalizations. Describes and discusses predictions, explanations, and generalizations based on past experience. 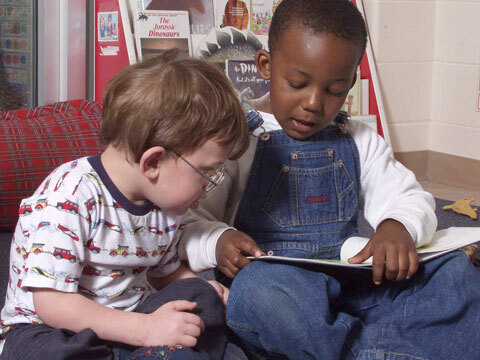 PreK–2 Expectations: In PreK through grade 2 all students should discuss events related to students’ experiences as likely or unlikely. Sample Teaching Strategies for Ages 3–6: Shows children the use of objects, fingers, counting on, guessing, and checking to solve problems. The authors discuss findings about the effects of temporal distance on future-oriented problem-solving in 3-, 4-, and 5-year olds. Responses of the 3-year-olds differed significantly from those of the 4- and 5-year-olds. In a study of 48 preschool children, the authors found cognitive development–related differences in children’s ability to choose an item that could solve a problem they had encountered earlier and in their memory for the problem. The authors presented preschool-age children with stories and pictures meant to evoke their thinking about potential future states such as thirst, cold, and hunger. Children were asked to select one of three items they would need under each circumstance. Differences were found between the responses of 5-year-olds and those of 3- and 4-year-olds. Bryant, P., & Nunes, T. (2012). Children’s understanding of probability: A literature review (Summary report). London, England: Nuffield Foundation. The authors review contemporary research on what young children understand about probability, covering four subtopics: randomness and its consequences, understanding and analyzing the sample space, quantifying probability, and correlations. Findings from this study of ninety 3-, 4-, and 5-year-old children suggest that, in preschoolers, episodic foresight may not be related to their developing theories of mind or their executive function. 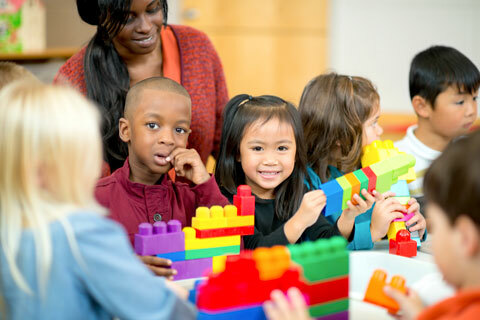 The authors report findings of an experiment that suggest that preschoolers and 20-month-olds use a form of statistical information (violation of random sampling) to infer that another person prefers a particular type of toy over another type. 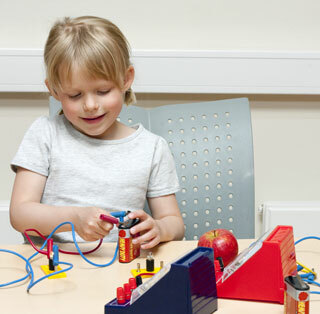 In an experiment involving electronic toys that activated under certain conditions, the authors found that 3- and 4-year-olds were able to make accurate inferences about what caused the toys to activate, using new evidence in the form of patterns of probability. The authors found that 4-year-olds could solve a “deferred future problem” above the level of chance by selecting items that could help them solve a problem they encountered in one room after a 15-minute distraction in another room. The authors examine three theoretical positions related to foresight and discuss two studies dealing with young children’s reasoning about events that might occur. The authors report on three experiments that indicate that 3- and 4-year-olds tended to propose reasonable cardinal values during the prediction phase and to use counting as the means of checking their predictions. The following standards and credentialing requirements may be addressed in this module. The following is a list of Illinois Professional Teaching Standards that may be addressed by completing the Benchmark 10.B.ECb MELBA (for use by instructors and students in teacher education programs). 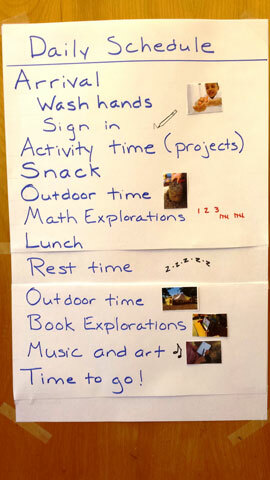 Tip Sheet: Time for Preschoolers: In Sequence! Which Container Holds the Most? Copley, J. V., Jones, C., & Dighe, J. (2007). Mathematics: The creative curriculum approach. Washington, DC: Teaching Strategies. Epstein, A. S. (2012). Science and technology. Ypsilanti, MI: High Scope.